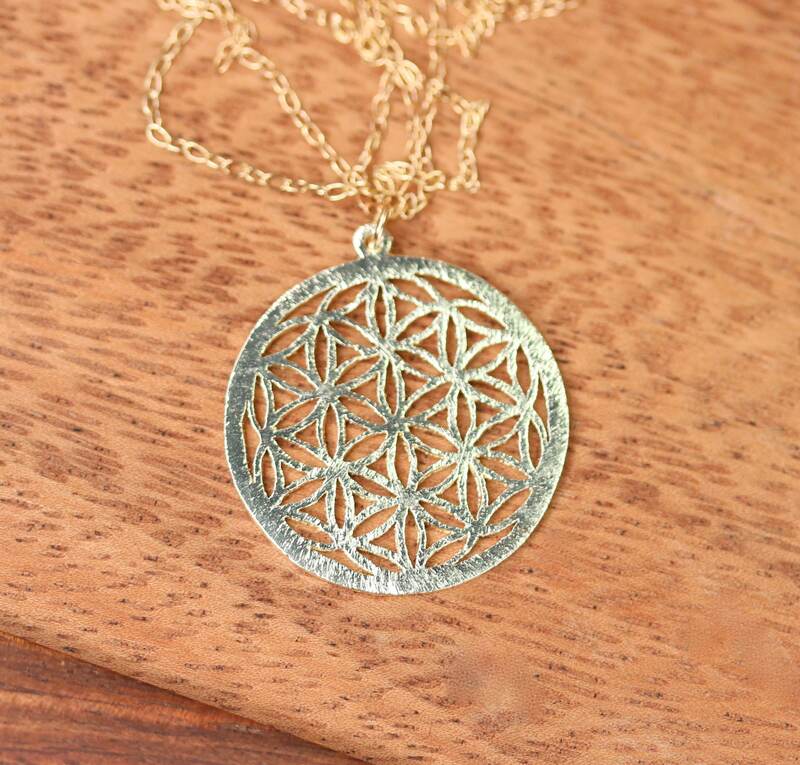 This gold over brass brushed mandala hangs peacefully from a 16 inch 14k gold vermeil chain. Please feel free to select a different length chain if you prefer! 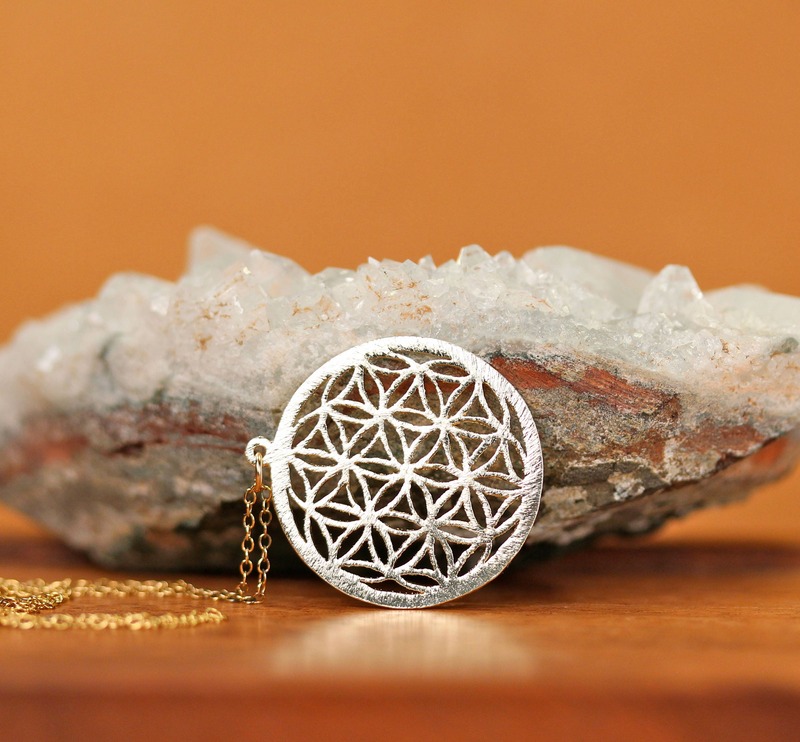 The Sanskrit meaning of mandala is circle. 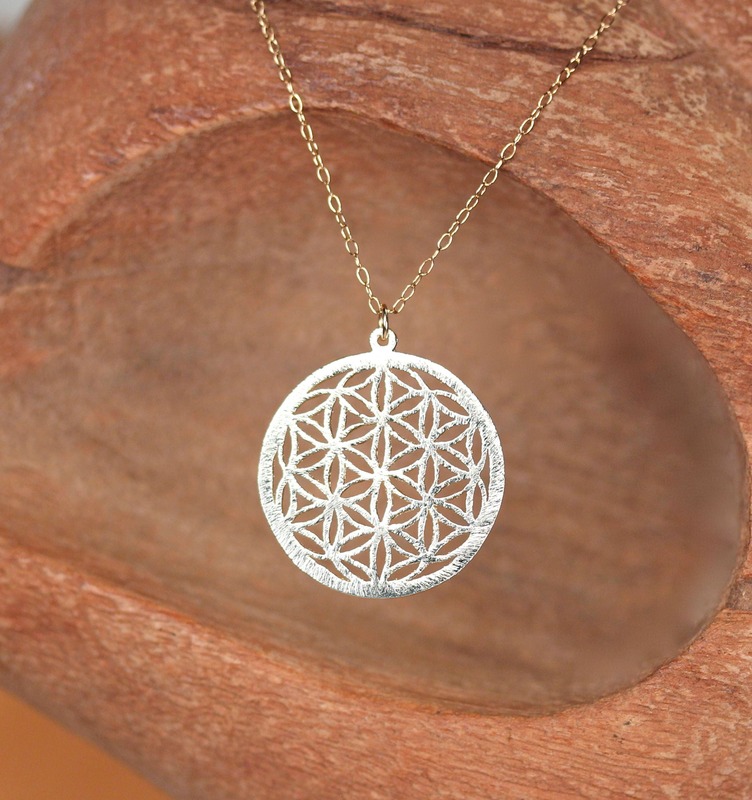 The circle is a symbol of perfection, eternity, unity and completeness. 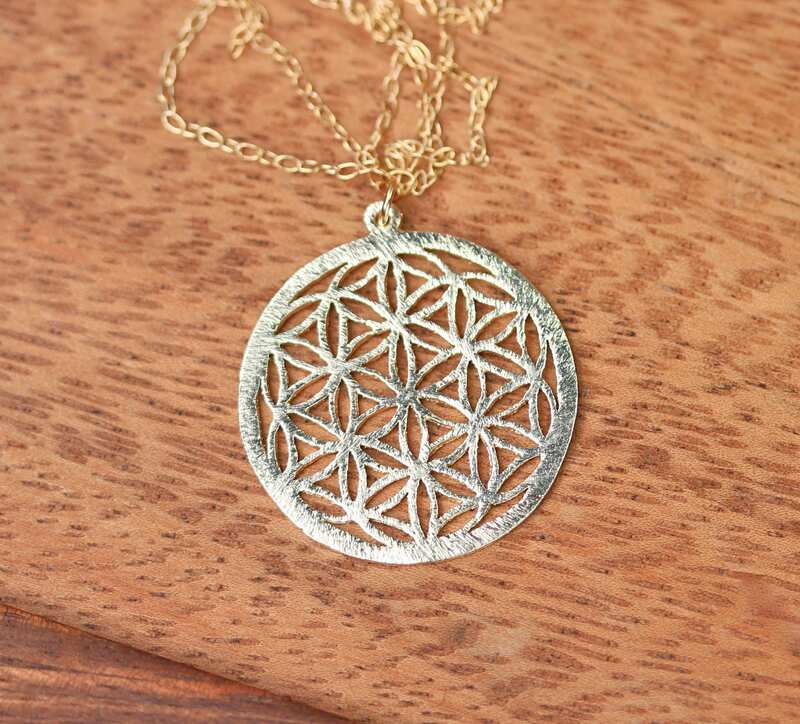 Mandalas are incredibly versatile and can personify any number of meanings for the viewer. The meaning each mandala holds is limited only by the creator and the observer.